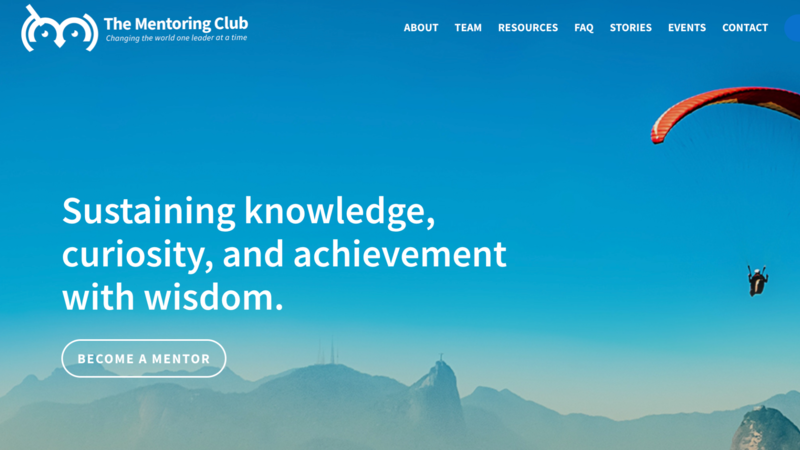 The Mentoring Club - JWay Group Inc.
What does it take for a non-profit startup to establish a mentoring community that allows Millennials and GenZ professionals to identify volunteer mentors who can help them with career growth? Young, motivated professionals committed to personal development to advance their careers by learning from individuals who have already established successful careers. Start by finding the right partner with experience in developing an engaging, responsive, mobile website with a technology backend that allows seamless matching or mentors and mentees. Combine vibrant, aspirational website design with social media outreach and a Salesforce.com platform that allows seamless matching of participants. Stir and repeat. Organic word-of-mouth combined with social media awareness and a solid technology platform, allows this non-profit to facilitate the perfect match. Both the mentors and mentees benefit from this personalized, enriching experience.